Trim-Lok brings the most experienced team in the industry toward the development of custom fabricated solutions across all the industries we serve. 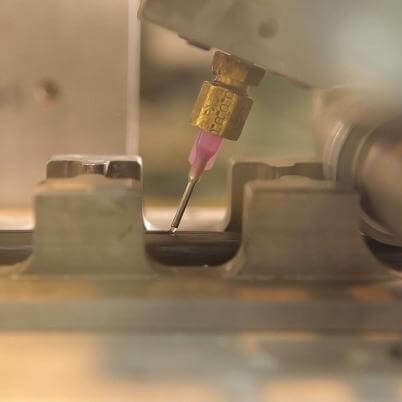 Whether it’s custom formulated plastic tubing or an intricately detailed gasket, Trim-Lok can engineer a custom extrusion solution to meet your exact specifications and be cost effective as well. 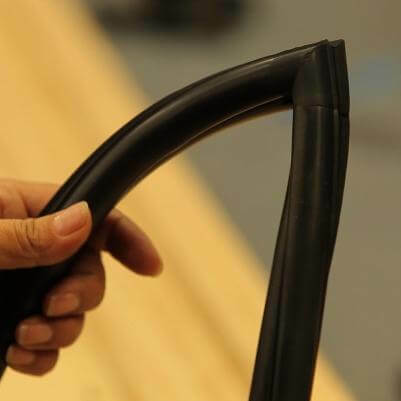 Our abilities range from the standard u-channel and p-profile shapes for trimming and sealing to decorative trim extrusions, both large and small, and everything in between! Trim-Lok can provide custom formulated compounds for your unique application. We extrude single material, as well as materials of different durometers, multi-material (co-extrusion), into the same part. If you need an EPDM sponge rubber seal with a rigid PVC pedestal that mates perfectly with an existing track, we can do that. If you want to reduce your labor and SKU count by combining several parts into 1, we can do that. If you need to create one part that grips, seals and looks good, we can do that! If you’re looking for a rubber or plastic extrusion as a substitute for wood or metal, we can do that too! Custom Profile Extrusions are available with any of our secondary operations and additional services. Our extensive list includes mitered corners, holes, notches, or special cut outs to suit your specific application and can include pressure sensitive adhesive (PSA) tape backing, custom packaging and custom kit assemblies. 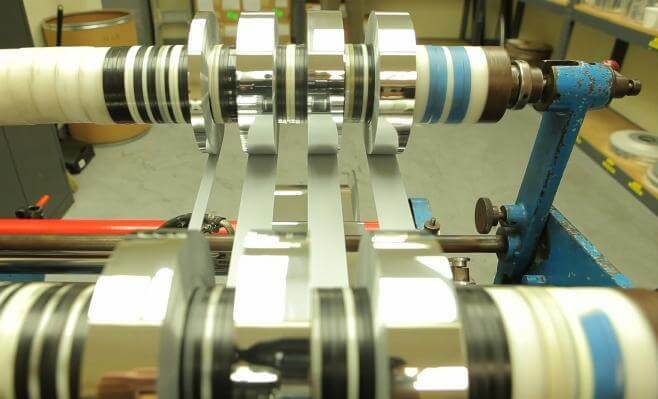 We can provide finished parts cut to length or provide reels of extruded stock, depending on the customer’s request. See our full list of additional services below. At Trim-Lok, we adhere to strict quality control standards to provide high quality and competitively priced plastic and rubber trim and seal parts, both off the shelf and custom engineered. We invest in highly skilled employees and modern equipment so that you can count on reliability, efficiency and repeatability. From excellent customer service to on-time deliveries, keeping our customers satisfied is our highest priority. Let Trim-Lok design and manufacture a custom extrusion solution for you. Trim-Lok now offers Flammability, Smoke and Toxicity (FST) certified rubber materials. The addition of FST materials expands our already extensive extrusion capabilities. Trim-Lok can now further enhance their offerings to customers that have Smoke and Flame requirements typically required in applications in mass transit industries such as marine, aerospace, bus and rail, to protect mass transit passengers. If you require a material we have never run, we are always ready to bring our knowledge to work on a new opportunity. Several of our parts are at the forefront of innovation, and we are willing to evaluate any challenge. Let us have a look at your current opportunities and see how we can help you achieve your objective. 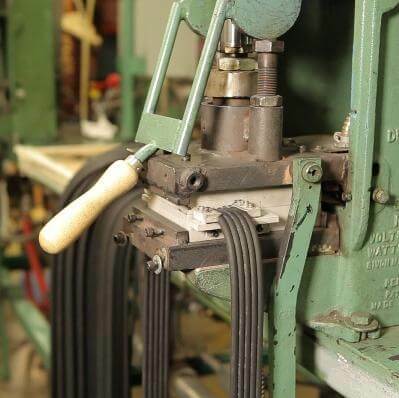 For more information on our Custom Rubber and Plastic Extrusion capabilities contact us today! Call us, e-mail us a drawing, mail us a sample, or let us visit you for a consultative evaluation to determine your specifications. With a wide range of materials and nearly 50 years of extrusion experience, we are a recognized leader in the extrusion industry and will go to work creating a custom extrusion that is right for you. Call 888-TRIM-LOK (874-6565) or email your inquiry to info@trimlok.com. • Custom Color Compounds Available Upon Request.